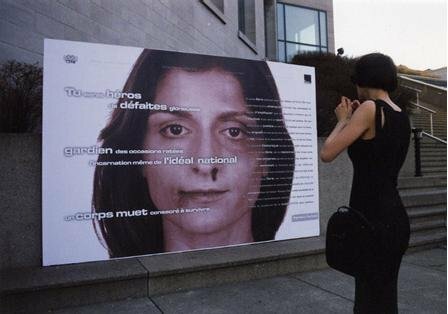 For this artwork, the artist used three different media: a medium poster format throughout Québec City, a large format poster placed at the front entrance outside the Musée de la civilisation, and the Web. 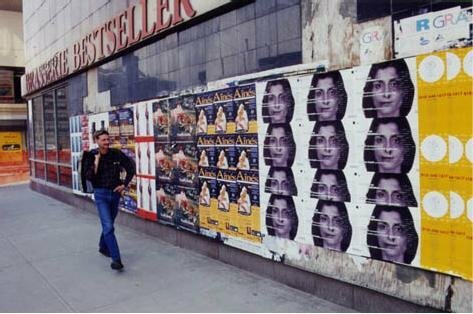 The work was exhibited simultaneously in the city of Belgrade. 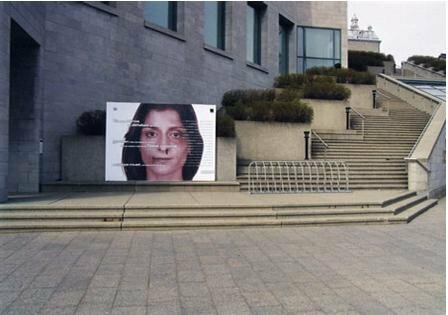 The posters displayed the portrait of a woman (in Québec City) and of a man (in Belgrade). A text was superimposed onto their faces: Three sentences to the left and a long text to the right. The theme of the event was human communications, our relationships to one another.